Our crowdfunding campaign has ended, but you can still support the NMSU Jazz Band by clicking here. 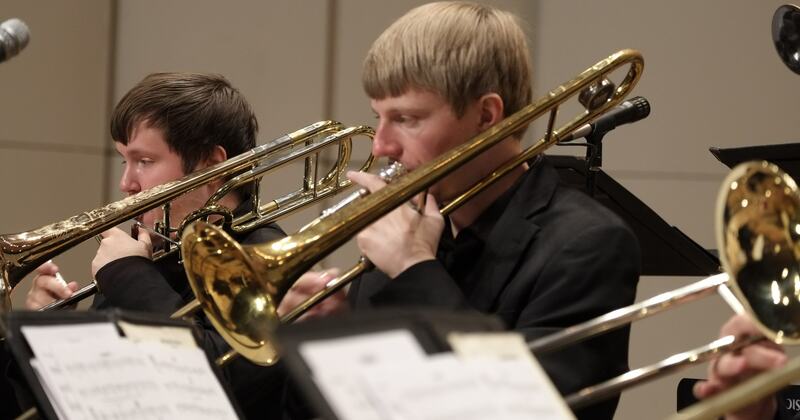 New Mexico State University Trumpet Studio and Jazz Ensemble have been presented with a great opportunity to share American culture in the form of jazz with the country of Spain and specifically the province of Valencia in southwestern Spain. Spring of 2017 , Dr. Vicente Campos, director of the Conservatori Superior de Musica de Castello visited our campus as a guest soloist with the Las Cruces Symphony Orchestra. During that visit, he coached our trumpet students in a master-class and sat in on a jazz ensemble rehearsal. The mission of our trip would be to interact with students of the conservatory, present classes and share our uniquely original American art form. Not only would we be working with students in Castello but we would be traveling throughout the province sharing jazz with several communities. Funding for this project would enable students to share their knowledge of America’s uniquely original art form. It would give our students first hand experience of Spanish music and culture. We need our alumni and community members to come together and make a difference. Your donation of any amount adds up to make an impact for our students as we continue in the tradition of excellence that we have built and are continuing to build together. Please make your donation today. For more information, please contact me at pancho@nmsu.edu. Your contribution of $10 helps our students share Jazz around the world! Your contribution of $25 helps our students share Jazz around the world! Your contribution of $50 helps our students share Jazz around the world! Your contribution of $100 helps our students share Jazz around the world! Your contribution of $250 helps our students share Jazz around the world! Your contribution of $500 helps our students share Jazz around the world! Your contribution of $1,000 helps our students share Jazz around the world!